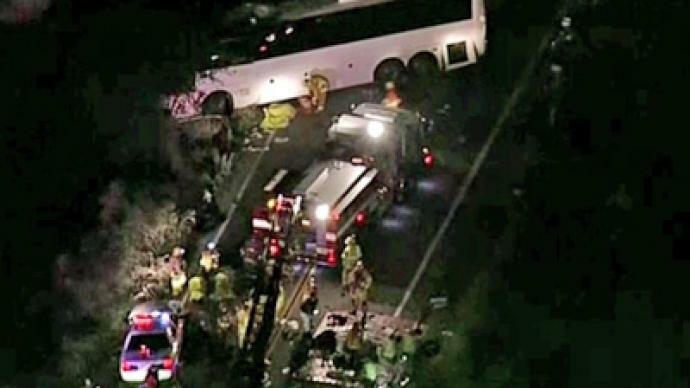 Seven people were killed and a further 38 were injured when a tour bus smashed into a truck and a second vehicle on a rural mountain highway near Yucaipa, California, east of Los Angeles. 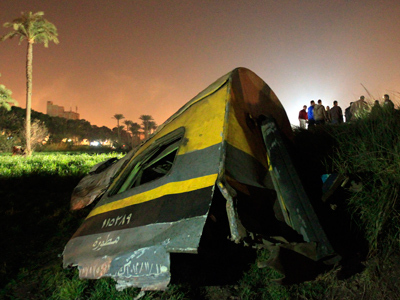 ­Witnesses reported that the bus hit a truck around 6:30pm on Sunday, and then rolled down an embankment. It was initially reported that up to 10 people had been killed, but that figure was later reduced to eight and then again to seven on Monday. The accident involved three vehicles: The tour bus, a sedan and a pickup truck pulling a trailer. The site of the incident, Highway 38, was closed in both directions as emergency crews tended to victims of the crash. The highway is usually used to travel to and from the Big Bear mountain resort. Officer Mario Lopez confirmed that eight people died and 38 were taken to hospital, AP reported. The bus driver reportedly had brake problems while descending the mountain road, rear-ending a sedan, flipping the bus over and then hitting a truck, Lopez said. Department of Transportation spokesperson Michelle Profant said that the bus was carrying a tour group from Tijuana, Mexico. A representative from the Mexican consulate was at the crash scene, AP reported. 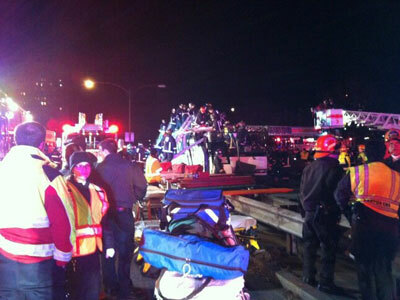 At least seven ambulances arrived at the scene, and the injured were taken to several nearby hospitals. 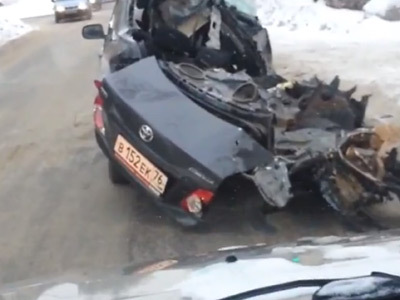 In total, 39 people were aboard the bus and four other people were in the other two vehicles. After the bus fell down the embankment, it rolled over at least once and several people were thrown out, according to San Bernardino County Fire Department battalion chief Ronald Walls, NBC reported. 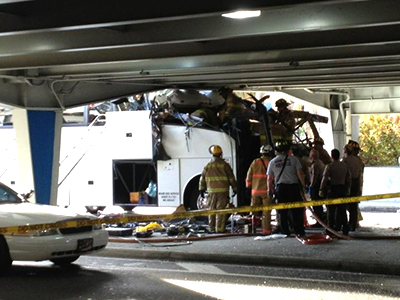 The California crash came less than a day after at least 35 people were injured when a charter bus carrying 42 passengers struck a low bridge in Boston.